San Pedro’s market is always busy. I spent an entire month upon the shores of Lago Atitlán. 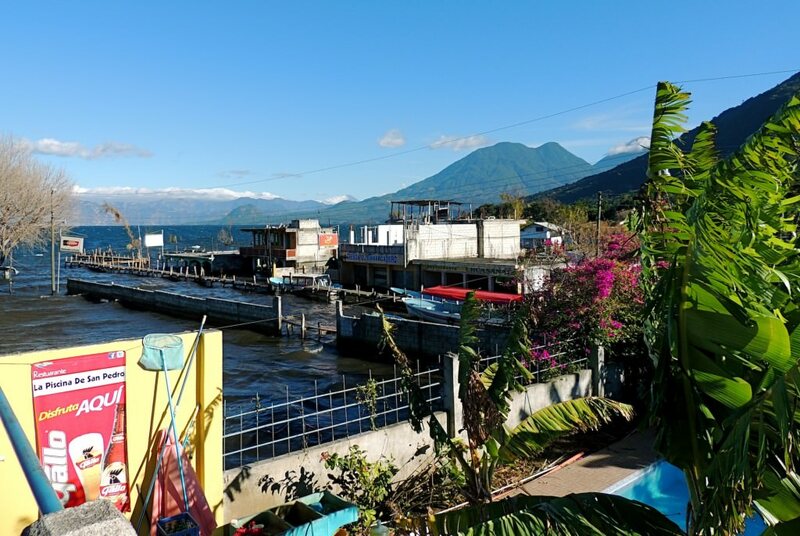 Two of those weeks were in the lake’s party center, San Pedro La Laguna. 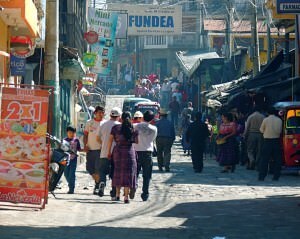 A town of 9,000 people, there should be plenty of things for you to do while you stay in this Guatemalan city. Cafe La Puerta – This is a cool hangout spot in the day to sip coffee and relax. They have an X-Box Live subscription, so you can also play video games or watch movies. La Piscina – This is the day drinking spot in San Pedro. It has a pool (obviously) and a volleyball net. Most of the time, people just hang out along the sides and tan or socialize. On Sunday, cooks prepare brunch. View of the Santiago Dock from the roof of La Piscina. Rising lake water has covered up the businesses along the dock. Le Jardin – This is mainly a restaurant, but I went here a few times to drink coffee and relax. The owner speaks French, but English and Spanish are far more common languages you’ll hear here. Buddha Bar – This is the best bar in town. The business is divided into three floors. The first floor is the main bar with a pool table in the back. If you want to play, make sure to sign up and hang around the table. Otherwise, you’ll get skipped. If you want quiet conversation, the second floor is where you want to go. There are tables and chairs set up for people wanting to sit down and eat. On the roof, you’ll find live music sometimes and another bar. You can see the pictures I took from New Year’s Eve here. El Barrio – If you want to compete in trivia, this is the place to do it. The bar holds the competition every Wednesday night. There are two bars, one in the front and one in the back. The courtyard is huge, and there’s usually a fire going on in one of the pits. ZooLa – I also did not stay here, but you’ll probably end up here at some point during the night. This is the party hostel of San Pedro La Laguna. The first section is the restaurant, which has cots and small tables for seating. Walk past, and you begin to see the lodging. Walk even further, then you’ll find the bar, a pool and a dock where I saw people either making out or snorting cocaine. The one benefit of Zoola’s is that it stayed open much later after everyone closed on New Year’s Eve. 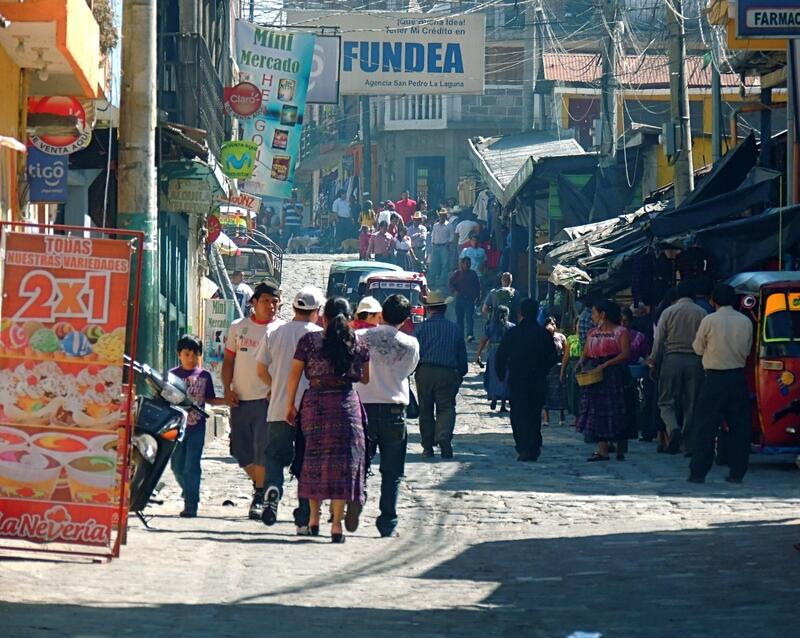 Explore the market – If you’re tired of seeing gringos all day, head up the hill (it’s steep) to the market. Merchants have lain out rugs, produce and chickens for their customers. It gets as crowded as any packed subway you may have encountered. Nearby is a church and park that hold events at night, including costumes and dance. Study Spanish – While I still believe Xela is a better place to study Spanish in Guatemala, you can also study Spanish in San Pedro. 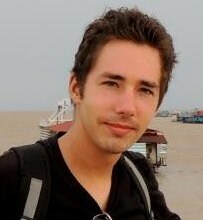 The average cost of a week of classes with a homestay that I found online was $141.68 USD. Make sure to shop around when you arrive and ask for discounts. 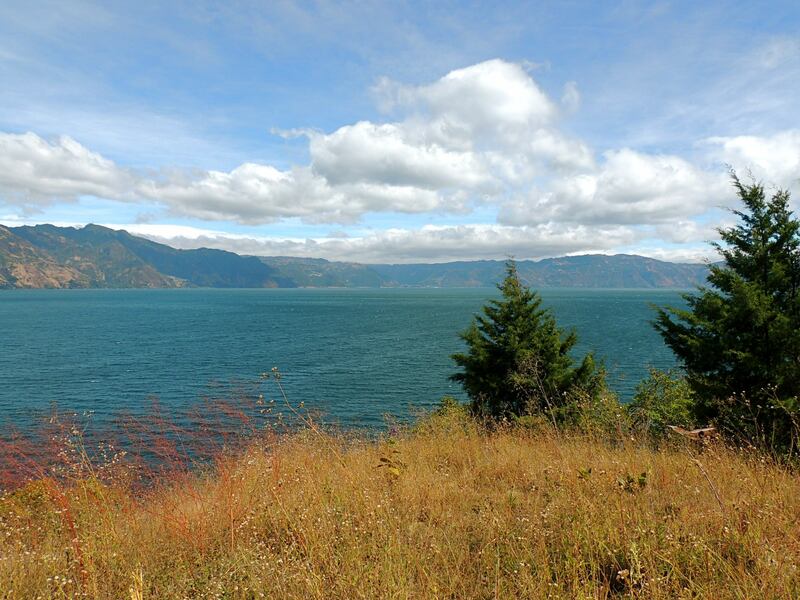 View of the Lago Atitlán from east of San Pedro. Take a walk – If you don’t feel like taking the ferries to the other cities, you can walk. While Lonely Planet suggests not doing this due to bandits, I did not have any problems walking with two other male friends east of San Pedro. There was also a woman who was staying at our hostel who walked with her two children to San Juan without having to fight off robbers. East of San Pedro, my friends and I saw a coffee plantation, some farms and some horseback riders. You’ll also see clear evidence that the lake is rising with the occasional house nearly covered by water. Volcano Tour – Volcano tours are also possible. I chose not to go, but you can watch this video from Jason Castellani and Aracely Santos Castellani and decide for yourselves if it’s something you want to do.